I combined pics from before and after the WTC. Made Serendipity squares for accents. I used gold metallic DMC floss. 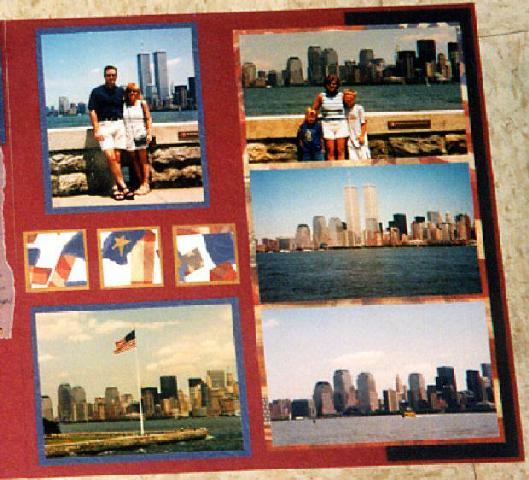 Journalled on vellum and title and put on a pic of the boys looking and remembering where the towers Were. I made the paper piecing. There is a page flipper and photos are underneath also.